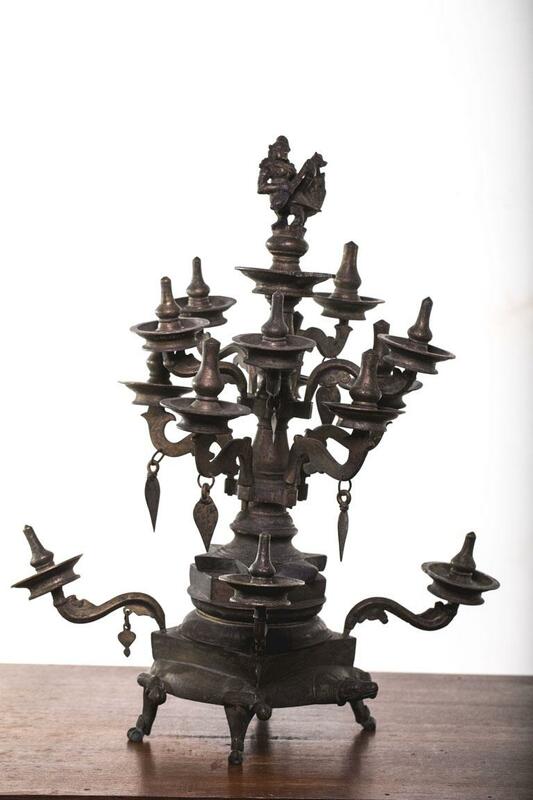 A traditional oil lamp with ornamented branches usually used in temples and pooja rooms is the Kavara Vilakku. The exhibit has 14 ornamented branches decked with images of Banyan leaves. A Devi (Goddess) holding a Veena is seen sitting on a peacock on the top portion of the lamp giving it a classic look. The lamp has a pedestal designed as a tortoise.